The nation’s largest peanut festival is held in Dothan, AL each fall to honor local peanut farmers and to celebrate the harvest season. The 71st annual National Peanut Festival will be held October 31st thru November 9th this year. 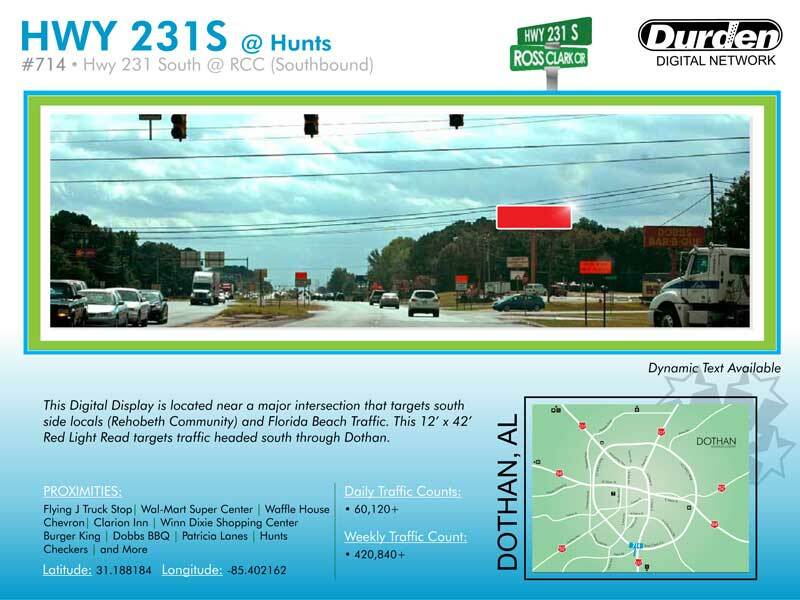 Now located on Hwy 231 South, the festival has grown from a 3-day event in 1938 to a 10-day event, attracting attendance in excess of 180,000. What better way to reach 180,000+ fair-goers than the Durden Digital Network! 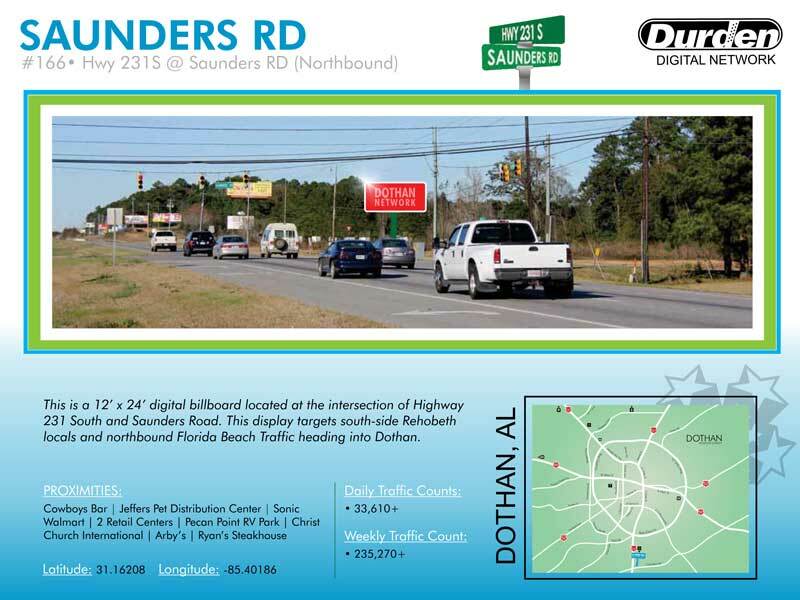 Check out these two Digital Billboards located at key intersections on Hwy 231 South that are sure to catch your consumer’s eye. This 10-day Digital Showing offer expires 10/27. Contact your Durden Sales Representative today to reserve your space.